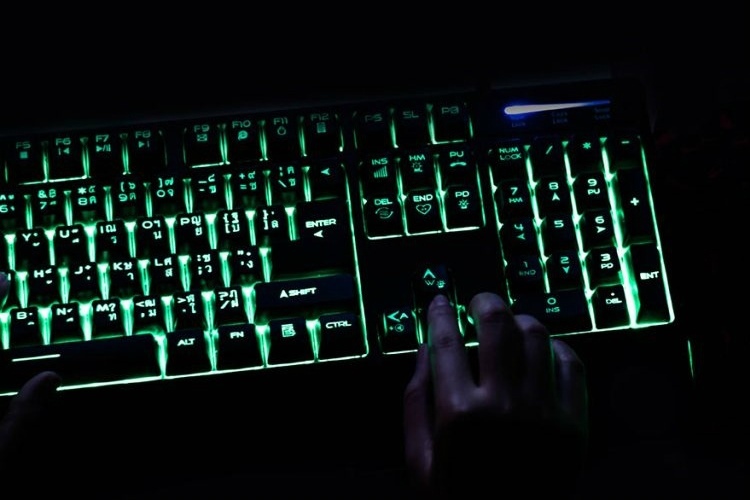 Gamers love mechanical keyboards for their clicky, tactile strokes which establish a sense of vitality and connection with digital characters. Cherry is among the top companies facilitating this transcendental experience with its trend-setting keyboard switches – which lie underneath keyboard keys and register what you type – and the company had a new offering on display at CES 2018. 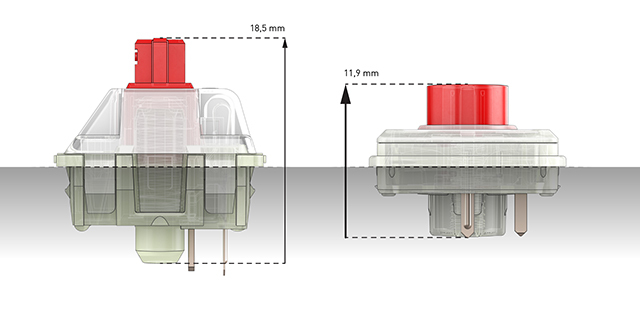 Cherry is moving towards a new class of low profile switches – called “Cherry MX LP” – which minimize key travel, resulting in a thinner form factor for mechanical keyboards. The contracted frame of keys will pave the way for the addition of mechanical keyboards on more laptops, especially the ones designed and marketed for gaming. Cherry’s innovation has shaved the depth of keys by 35% and the travel distance is now reduced to 3 mm, although pressing the keys requires the same force as before. Shorter key travel, and thus, lesser time taken by keys to bounce back typically means that typing on LP keyboards will be faster. These switches are designed to last for at least 50 million strokes, even though the company claims that they will endure for much longer. A thinner MX LP or low profile switches do not strip manufacturers of the ability to add LED backlighting underneath keys. The MX LP switches feature support for both mono and RGB backlight. Another benefit Cherry points out is that the enclosed design prevents the entry of dust or dirt, although there is not official resistance rating backing this feature. Cherry, as per Gamespot, is currently expanding production and the technophiles will be able to get their hands on low profile keyboards in the next few months. With wide-scale adoption, we can soon hope to see leaner gaming laptops. Manufacturers like Cooler Master, Ducky, and Corsair have already placed their orders for the low-profile switch and given Cherry’s 44-year-strong market presence, we hope these switches making way to more keyboards very soon.